This week's Qatar Masters is billed as having the strongest field in the tournament's 11-year history and I'd have to agree, I know I'll be tuned in with the likes of Retief Goosen, Adam Scott, Lee Westwood, Henrik Stenson, Luke Donald, Scott Verplank, Paul Casey and Sergio. 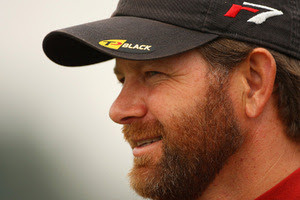 Retief Goosen overtook Nick O'Hern with a birdie-eagle finish last year to claim his only win of the season. He finished atop a talented leaderboard that saw 2005 champion Ernie Els, Stuart Appleby, 2006 winner Henrik Stenson, Chris DiMarco, Paul McGinley, Nick Dougherty, Sergio Garcia, Miguel Angel Jimenez and Robert Karlsson all finish in the top 25. World No. 8 Adam Scott, the 2002 champion, is the highest-ranked player in a field that includes 10 of the top 30 players in the world.